I recently purchased a 2017 Grey VX-300 with 900 miles on the odometer. 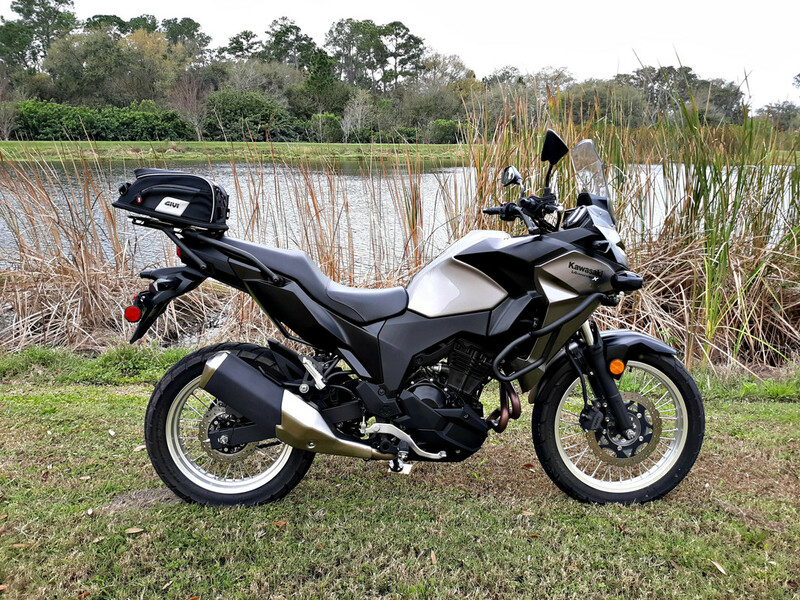 The reason I ask how popular they are is because during my search on Cycle trader, there were/is a lot of leftover 2017's and 2018's listed from dealers here in Florida at some pretty great prices, some starting as low as $3300. But as we all know, those numbers will change drastically as they add the infamous freight & setup fees, plus TTT. I was able to avoid the freight & set up fees because it was a trade in by a husband who purchased it for his wife who didn't like it, fortunately for me. As far as durability, I know that there are several factors involved such as how good or bad a bike is treated, and regular maintenance being performed. But, I'm just curious as to what kind of mileages are out there, especially problem free mileages on the VX-300? The reason I'm asking is because I'm a pretty seasoned rider, but I haven't owned a Japanese manufactured bike in many years. Over the last 15 years, I've been riding primarily European bikes such as Moto Guzzi's and Triumphs. Prior to that, I've owned bikes from all four of the major Japanese manufacturers and an overall experience with them as being very reliable. So just curious, is that still the case, or has modern technology such as ECU's ABS, electronically controlled suspensions and such thrown some wrenches into that reputation? Interesting question... I was originally going to buy a 300, but ended up with a 2015 650. Mostly because I couldn't find a 300 with ABS for sale at the time (except one from a sketchy private seller). My best guess from what I've observed around the PNW is that Kawa must have grossly mis-judged the ratio of ABS/non-ABS sales for this bike - all the leftovers I've seen at dealers have been non-ABS. Which for me at least, is a non-starter. Living in FL you may feel differently. I still would have preferred a 300... To me, the 650 feels just to high and heavy to take off-road, although dirt roads are ok.
Kawasaki motorcycles in general are top notch in reliability, but unlike Honda also have "character" which, as a European bike owner you understand. If you are having second thoughts about the bike I will be there this weekend and give you what you paid for it. Do the 1st service and then rev that baby up to red line and you will realize what a gem you have bought. If you want a little more low end grunt and don't care about long stints on the highway go up 2 teeth on the rear sprocket. Look up Fortnine's review and other videos with the Versys X-300 as well as MC Comutes, and one where Ari and Zak take the X-300 and the 250 Rally on a weekend adventure. 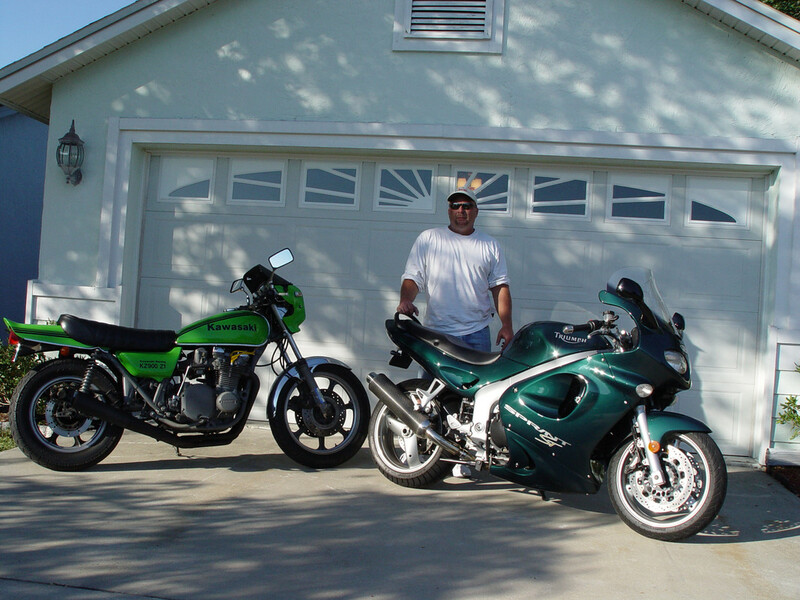 Kawasaki also offers the cheapest extended warranties and stands behind their warranties. 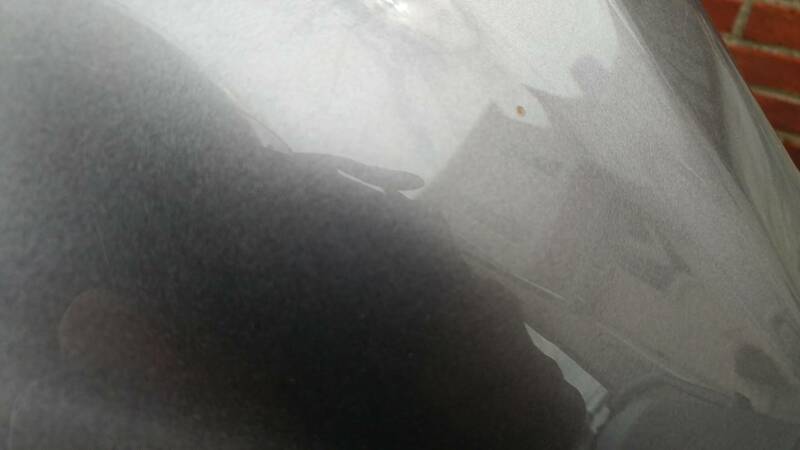 I had a wire rub under the fuel tank on my Voyager 1700 that left me stranded in a rainstorm and a local Honda shop fixed it because there was no Kawasaki shop around. Kawasaki reimbursed me for the repairs and ended up issuing a recall to fix all the bikes. I kept that bike 60,000 miles. I know of guys with the 650 twin engines that got over 100,000 miles on them with only minor repairs. Let me know, I can have the trailer hooked up to the truck tomorrow. No mention of 2nd thoughts in my post, I'm thoroughly enjoying this little mighty mite. I just wanted to hear what other owners experience with this bike is, that way I will know what to expect and look out for. As for my own experiences with Kawasaki, I owned two KZ 900's, one in 1980, and another in 2001-2006 that I purchased as a restoration project. I found both of the old bikes very reliable, here's a pic of the one in 2006.
onewizard, twowheeladdict and Devilsfan like this. Last edited by zebraranger; 01-31-2019 at 02:18 PM. Nice Kawi. The new Z900 Retros are nice looking as well as fast! Twisted Throttle has Versys X as one of their 4 most popular Kawasaki models. I assume their rating is based on how much after market business they do. I'll most likely take flack for this but when looking for a lighter bike suited to those of us who are "inseam challenged" I was virtually convinced the X300 was the solution. Turns out that wasn't the case despite the amazing reliability of Kawasaki bikes in general and my 2008 Versys 650 in particular. After much consideration, research and test riding, I ended up adding a 2018 BMW G310R to the fleet - and I'm extremely pleased with it. I don't ride off road intentionally, so the ADV creds of the X300 weren't important, but a low saddle and adequate power and handling were. In my humble opinion, the BMW serves up saddle height, power and handling in spades. And, most importantly it's many, many pounds (kilos) lighter than my '93 BMW K75S. It is an absolute hoot to ride and handles as if it was on rails. In my case of one size does not fit all. Last edited by Arion; 02-18-2019 at 03:15 PM. Hopefully, it will be reliable for the long run. My favorite all time bike was a 2009 BMW G650GS. It was great for the first 20k miles, then turned into a electrical problems nightmare. Made me not even consider the 310. I just bought a green 2017 leftover $3,936 out the door. Dang man! Just got the Roamer and now the Versys 300? Definitely would like to hear your review once you can get out and ride. I would wait buying a new model never know what kind of recall it going to have. X-300 is more enduro than V650 or V1000. X300 still don't have ABS on/off switch either does V650 or V1000. What kind of riding you looking for. If you have sport touring v650, if you want cross country v1000, if you want a x300 for the price may I encourage you to look at ninja 400. If you want a enduro may I introduce you to KLR 650. If the riding position is what you looking for Z650. If you want a A2 fast and touring 2019 CBR 650R great price and comfort do it all bike. X300 is not popular due to the engine size and power, the old man looks and streetability. MSR price for x300 isn't appealing either. I got my 2015 v650 8miles ODO new off the lot for $4800. Last edited by Crimson Apple; 03-09-2019 at 09:39 PM. I wanted one of those 300X bikes, but they have been sitting on $5,300 around here. Being the cheapskate that I am (Guzzi content) there was no way I was going to pay full price. I am hoping that this will be good for running around locally and a few county gravel roads now and then. Last edited by kballowe; 03-10-2019 at 06:48 AM. Congratulations, That's a great price on a new one. I hope you enjoy it as much as I have mine. I purchased mine about 3 months ago and I've been thoroughly enjoying it. I've been very curious about these bikes and eyeing the VX300 since they first came out in 17. Actually my first post was in 17 two years before I actually purchased one. I've been adding some accessories like the Givi quick release tank bag on the rear rack, 40 Watt LED Auxiliary lights, crash bars and just this week a center stand. 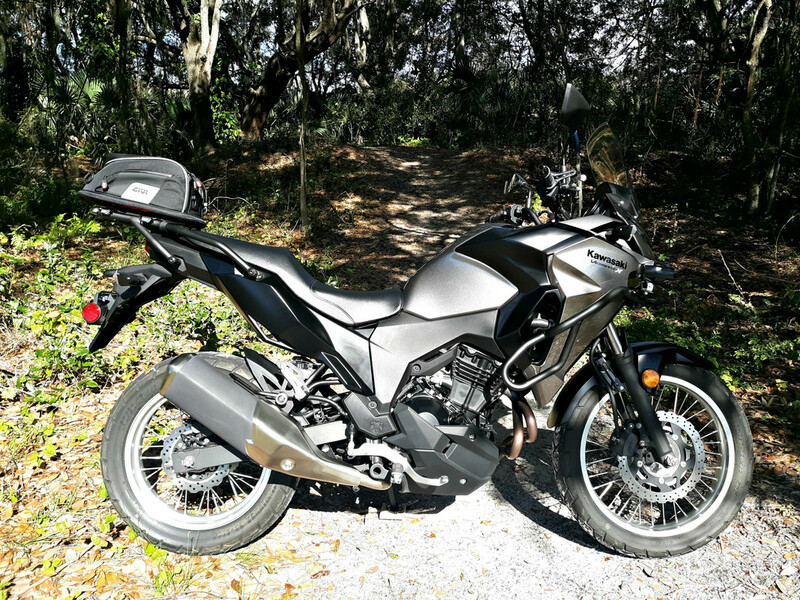 The VX300 makes a great 2nd bike for exploring, and it makes a nice addition to the Griso. Its also great for local runabout type of errands where interstate speeds are not required. I've been able to take the VX to places that I wouldn't try with the Griso, abandoned cow pastures, sand and dirt trails and such, like in the background of the 3rd photo. The only thing I'd change if I could would be a better seat and little bit taller gearing, but even with that, its still a very fun bike to sling around and explore on. 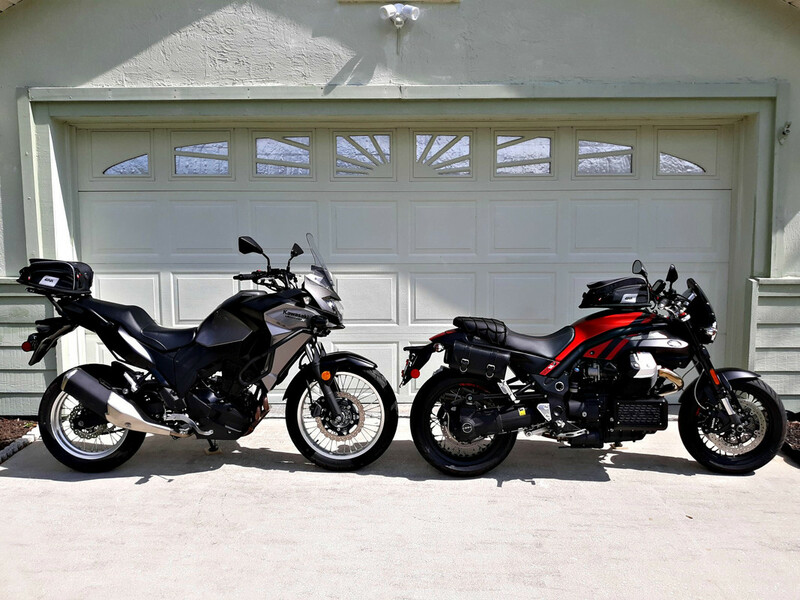 Heres a couple of pics, the first one is a size comparison next to the Griso 1200. The VX is taller, the Griso is longer with a 61.3" wheelbase compared to the 57.1" on the VX. But the VX is much lighter, by almost 200 lbs. That's one of the reasons its so fun. Its a keeper. twowheeladdict and kballowe like this. I haven't had any major mechanical issues but I only have about 1,500 miles on it since I got it last August (2018). It starts right up every time with little effort on the part of the ignition. However I have had problems with the lock mechanism for the handlebars. There's a small spot of rust that appeared on the gas tank. Most of the plastics are good quality except the the narrow black plastic beneath the sides of the seat. That type of plastic is a different grade than the rest it seems and is more susceptible to cracking. You can't really tell in the picture but it's cracked kind of bad and I placed it back together. The plastic is about $100 on Bikebandit.com but I'm not going to bother now. It's also made in Thailand not Japan which I wasn't crazy about. Made in Thailand? Check your VIN, if it starts with J is made in Japan, it is only made in Thailand is the VIN starts in ML or MR. However, I'm not sure that any Versys x are/were made in Thailand. My VIN starts with a "J", but I was shining a flashlight all over it, and noticed on the frame neck, looking down thru the fairing on the left side, it says "Made in Thailand"
I was about to post the same thing. I saw it while installing the 12v socket. My VIN starts with "J." I still like it though. It doesn't kill with power and screams and you're not even going anywhere but it's still fun. I wouldn't be too concerned about them being built in Thailand. Triumph built its first facility in Thailand in 2002, and the 2nd in 2005. Triumphs have been made in Thailand for a few years now without any issues, they have the right Hinckley UK personnel managing the work. I'm sure Kawasaki is doing the same thing, they too have a reputation to maintain.